A country which was known as Yugoslavia, after some time they named it as Croatia. Though Croatia is not the part of Russia but they still have some similarities in arts and culture. Naturally, this factor becomes a huge attraction as it details one of the most historic countries in the world. There is a long history of architecture in Croatia; some of the remnants are still preserved in the country. The Bronze culture of the Illyrians started to organise themselves in arts and customs. Then in the fifteenth century, Croatia was divided into three parts, northern Croatia was the part of Austrian Empire, Dalmatia was under the rule of Venetian republic, and Slavonia was ruled by Ottoman. So, quite a few civilisations thrived in this country and they all combine to give a unique flavour to the tourist! Croatia is famous for its pure alluring turquoise water; The Scenes depict beauty from every aspect. If you came from the city of hustle and bustle, trust me these amazing scenes shall put a very mesmerising effect on your mind and soothe your soul too. There are many beaches and any beach of Croatia is enough to take your breath away, and the water is crystal clear, one can enjoy the perks of surfing and snorkelling deep inside the blue water. Nature depicts all the majestic values of our world. The lakes in Croatia are the most amazing thing of all and one of its biggest attraction is the Plitvice Lakes National park. 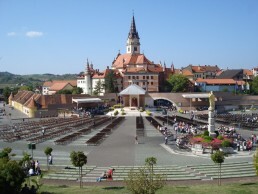 This park is the oldest of all and the largest park in Croatia. The lakes forms into cascades and in total sixteen lakes can be seen from the surface. So if you want to have a splashing vacation you should definitely visit Croatia I am sure that mountain ranges and lakes shall give a myriad of sights and fill your heart with countless happiness. Do not miss the chance to sail a boat if you are on a vacation. Croatia has thousands of Islands and the richest Archipelagos. Sailing and exploring Croatian seas is a must thing to do. Take a boat and go into the sea explore the coast islands and have a wonderful day! Zagreb is not just a hotel like every other it has a great story behind the name. It is the most comfortable and luxurious hotel and best for a stay. One should explore Zagreb. Whenever you visit Croatia take some time for that and roam around the enchanted palace you shall come to know that the place has hidden doors. Open the door and have a look what mystery it offers. One door opens and there is a large museum which is known by the name of Museum of broken Relationships. While, the other one is for those who love fashion. It has many boutiques which one cannot find anywhere and it is called as City of walker’s paradise. So for those who are much into fashion must have a check inside Zagreb. If you are a wine lover then you are at the right place, Croatia has the best wines. The bars are the right place where you can get wine with the typical Croatian environment. One bar which is known as the best of all is Vinoteka Bornstein. You can meet new people have knowledgeable conversations, make new friends and make the evening more charming! 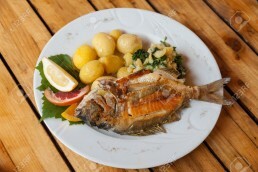 Croatians are thankful to the Adriatic Sea, as their seafood is enriched and healthy. You are in Croatia and search for the best food, if you are a seafood lover then probably Grilled fish is what you are looking for. The sea has the healthiest fish so it can be sardines, sea Beam, and Seabass. This fish is cooked only on a grill with tantalising spices and olive oil. If you are not a seafood lover then you should try Cabanas. It can only be cooked on open fire. It has meat, chilies, and paprika. Once it is cooked you can put whatever you want to. 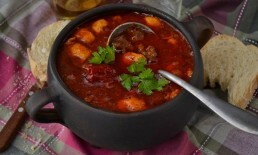 The stew can be filled by potatoes, onions, carrots, pancetta and different herbs. You can find this anywhere in Croatia you must try, it’s delicious! 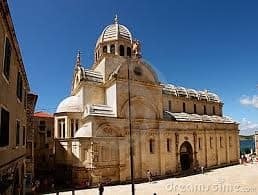 While visiting Croatia you must know about the majestic Marija Bistrica. This town has its own mysterious story. It is known as the centre of divine healing and has the charm which can only be felt after visiting. So you must have a look at it yourself! 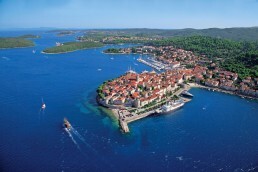 Croatia is not only at the top in beaches and lakes. This country has the best sports. One of them is Hitch Hiking. This place has the beautiful landscapes. Climb to the mountains and feel free. Howling of wolves, rock climbing goats, and the water falls these are the sounds that make your hiking more interesting. The most magnificent mountains for hiking are Mosor Mountains, Biokovo Mountains, and Velebit mountains. If you are a hiking lover and looking for an exciting adventurous place then Croatia is the right place for you! This island is the most exotic, as it is inside the Adriatic Sea. Earlier, this island was called as Black Korcula. It is famous because of its dense forest. People used to call this place Korkula because of churches and places. This island is not much popular as it is quite far from the other islands so people consider not going there. But, less crowd means less noise and hustle bustle so why letting go a beautiful place just because it’s far away. You can have more fun, as fewer crowds’ means more fun! Ok so that’s 11 reasons to visit Croatia, I think I have given plenty of good reasons. So, what are you waiting for? Pack your bags! I absolutely love Croatia, for me it has a bit of everything. Have been lucky enough to visit 3 times and at the moment in the process of looking into visiting Zadar next year.